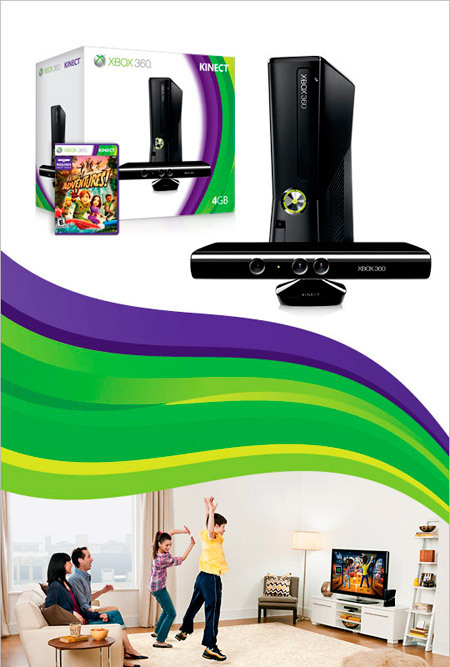 Xbox 4GB With Kinect Bundle ~ Limited Time $299.99 Shipped ~ Just Announced at Amazon! Just went live: Amazon lowered the price on the Xbox 4GB + Kinect Bundle to $299.99 + Free Shipping + No sales tax (to Texas addresses). Our experience with Amazon is these Pre-Black Friday deals typically don’t last long and will likely sell out really FAST. Go here to learn more. Check out Amazon’s other Black Friday priced gaming bundles here (Wii, PS3, XBox 360, Nintendo 3Ds, and more). Find more Black Friday Week deals here.